A lot of people find dogs adorable, dependable and lovable. It's nice to have a sweet pooch that will welcome you when you arrive home. Cuddling a dog can certainly be comforting and soothing. That is, until you see fleas all over your darling pet. Delight will be replaced with panic and disgust, and your first instinct is to move away from the dog. 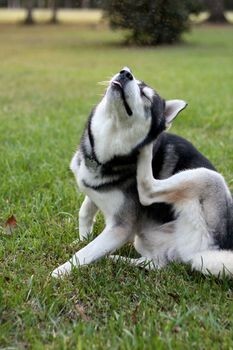 Fleas can plague dogs and their owners. These pests infest your dog's fur, burrowing into it, sucking blood and seeking shelter. When left untreated, fleas can cause grave skin conditions for your pooch, like dermatitis. When a dog bites and ingests fleas, the dog can also be at risk of getting tapeworm. As a loving dog owner, it is your responsibility to bring back your darling pet's good health by getting rid of the flea problem. If you think this is impossible, don't fret. Fleas can transmit disease and cause tapeworm, so getting rid of fleas on your pet is a must for a healthy animal and a healthy home. Fleas prefer warm and humid conditions and is therefore more than a seasonal problem in some parts of the country. Follow these steps to help your pet and learn how to get rid of fleas. A clean dog is a healthy dog. If your pet's fur is always free from dirt and grime, chances of getting a flea dilemma will be much lower. Make sure you give your pet a thorough bath every now and then. Scrub his coat properly, use dog soap and rinse adequately. A bath once a week, or once every two weeks is good. It depends on your pet and how active he is. Use recommended doggie bath products that not only prevent, but also treat flea problems. If you keep doing this, you'll get rid of the flea dilemma even before it arises. If your pet has fleas, then it's likely that he's spreading it all over the place, especially in areas where he stays still for long periods, including the place where he sleeps. Upon discovering the flea infestation, act quickly and wash all of your darling's bedding. Many flea larvae and eggs like to live in these places. Use hot water and soap when laundering the bedding, then shake them well and let them dry under the sun after. 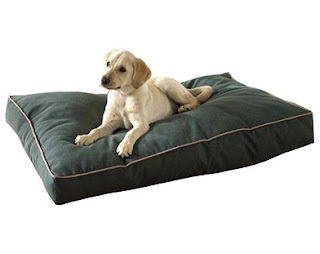 You should also clean out his dog house with hot water and soap, scrubbing the surfaces thoroughly, to get rid of fleas that might be nesting there. After you've done this, your pooch will not only be free from fleas, he'll also get to sleep more comfortably. Flea shampoo - Dog flea shampoo works like regular shampoo works for humans. It treats and cleans hair, removing impurities and adding beauty. Flea shampoo doesn't just clean and beautify pets' hair, though. It's also medicated, containing chemicals that get rid of fleas effectively. Of course, its effect isn't lasting, working for a few days up to a week. You'll have to reapply and bathe the dog again. Flea dip - This is a strong chemical rinse that works for advanced pest infestation in your pet, like if he has mites and ticks too. Dips work for one to two weeks, leaving plenty of chemical residue on your pet. Flea collar - This type of collar contains toxic substance that can kill fleas immediately. It works either by being absorbed into the animal's subcutaneous fat layer, or by emitting a gas that's deadly to fleas. A flea collar is very effective, but it can only work on immediate neck and head areas. Be careful when using this type of flea control product, though, since it doesn't work on all pets. Flea comb - It's like a regular comb, but is made for fur than for hair. It works by catching fleas in narrow gaps between its teeth, or making them jump off. After every pull through your dog's fur, dip the comb in soapy water to drown the fleas and to remove fur caught in the comb. It's a pesticide-free way of solving your flea problem. Garlic - Dice some fresh garlic in a food processor, then add a dab of oil to it to make your pet's coat shiny. Then, apply it all over your pet, working your way through the fur. Wash it off after a few minutes. Olive oil - According to some people, olive oil drowns the fleas and makes them fall out of the dog's fur. Begin putting it from your pet's head and slowly work your way back. When you're finished, just shampoo the oil out. With it comes the fleas. Talcum powder - Cover your darling pet with baby powder to smother the pests. If your pet is still a puppy, this tactic works great. You can also use baking soda. Salt - Fleas don't like salt. Sprinkle it around the house and let it sit for a week or more. You can also sprinkle some on your dog's body. Fleas don't just hide in your pet's fur, they hide all over your home. They're under your sofa, scattered on your carpets, hiding under floorboards, and some may even be creeping up your bed already. That's a nasty thought. To prevent this from happening, you should thoroughly vacuum your house. Vacuum vibrations stimulate fleas to come out from their cocoons, exposing them to insecticides or sprays that you're planning to use later. This makes killing the fleas easier. 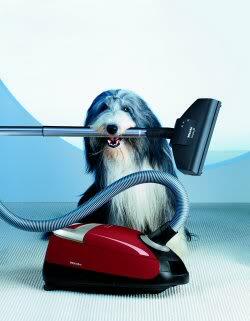 Vacuum over and under furniture, all over your carpets and rugs, around skirting boards and corners. Pay special attention to dark crevices, too. Take the vacuum cleaner's nozzle attachment and vacuum around skirting boards and fixture edges. After you're done vacuuming, throw away the vacuum bag completely, wrapping it tightly inside a plastic bag and putting it on your garbage bin outside. Don't let it linger for long inside the house. If you think it's necessary, such as if the flea problem has gotten out of control already, then it might be time for you to turn to chemicals to get rid of the little pests. Find a safe and environment-friendly insecticide that you can use all over your place. These can be foggers, powders, or liquid. It's best if you can find one with an Insect Growth Regulator or IGR. Read the directions carefully before using it, and make sure to take note of safety precautions to ensure your family and your pet's health. You should also wear proper gear, like gloves, when applying the insecticide. Wear old clothes that you can throw away after the procedure. When you're applying the insecticide, make sure it reaches the flooring and carpet. Spray in crevices, corners, and nooks and crannies where your pet often stays. You can also spray around your yard, in sandy and gravel areas. After the spraying, don't vacuum, and let the chemical work for a few days. Dogs are delightful and loving, but when they're ridden with fleas, people avoid them as much as they can. Don't do this to your pet, and just try these tactics. Soon, you'll be able to hug and play with your pooch again.